The M18™ REDLITHIUM™ HIGH OUTPUT™ HD12.0 Battery Pack provides 50% more power and runs 50% cooler vs M18™ REDLITHIUM™ HD battery packs. The massive increase in power elevates the performance of the entire M18™ system and drives the next breakthrough in M18 FUEL™, delivering the power of 15A corded product. It delivers fade free power and runs substantially cooler through heavy applications, allowing tradesmen to push their cordless tools harder and longer than ever before. The M18 REDLITHIUM™ HIGH OUTPUT™ HD12.0 is the best performing cold weather pack ever made, providing increased power in extreme cold weather conditions (below 0F / -18C). It provides the most work per charge of any professional power tool battery in the industry, driving full corded replacement on the jobsite. 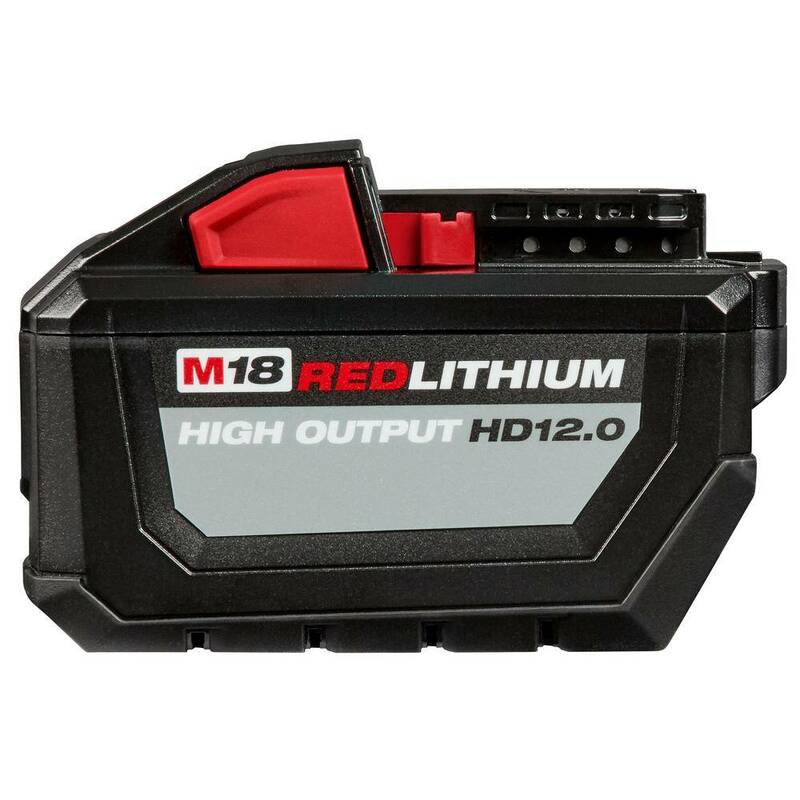 The REDLITHIUM™ HIGH OUTPUT™ HD12.0 battery is fully compatible with 150+ M18™ solutions.